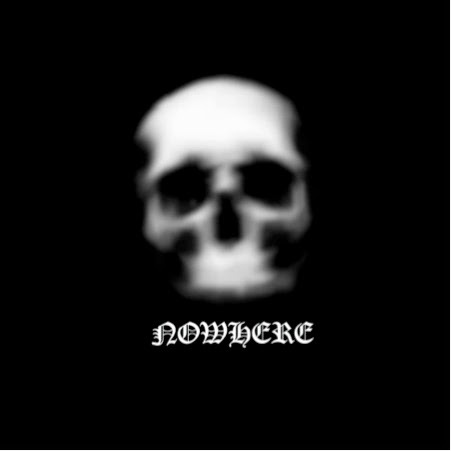 GHXST is a doom/blues band from New York and this is their newest EP Nowhere. This trio have released a couple singles that have already infected my mind and turned me into the grooviest Walker ever, and now hopefully this new EP will continue to see these guys expand their growing reputation. Slow Down opens up the EP with a sweet, thick guitar riff that harks back a time where I got seriously into stoner rock and believed it was the greatest genre of music ever. GHXST produce the same level of intensity and energy in their sound much like the likes of Kyuss did back in their heyday, and it is wonderful to hear it in full force in 2015. This is a killer first taste of what’s to come on Nowhere, and the drawn out vocal delivery of the title is simple but a very nice touch. Keep Me Awake is some real doom-y goodness as GHXST elongate the riffs to really crush your face in good as this showcases the trio’s talent at dragging out their songs despite their short timeframes. No Luck sees the band pick up the pace a little with a fast paced display of ferocious riffage and guitar solos which really helps bring up the momentum again. After a brief interlude GHXST close out the EP with Galaxia which is a personal highlight as they deliver another dose of high-octane fury down on our skulls. This features a really pummelling riff that does not let up and there’s also a hint of blues embedded within the sound to add a little extra texture to it to close out what has been a pretty spectacular EP. Nowhere is a superb EP and GHXST have certainly got themselves a new fan in me. Each of the five songs featured showcased a sound that was ballsy as it was good, and I even liked the interlude because of that. This is a fantastic EP and easily one of the best heard this year so far. For more music reviews, free downloads and dooooooooooooooooom check out Exploding Head Syndrome on Facebook and Twitter.